Ascentech is dedicated to playing a constructive role within the work at height community, by educating all members with regards to requirements and implementation of a fall protection plan, in accordance to Occupational Health and Safety Act 85 of 1993 (OHS Act), Construction Regulations and South African National Standards (SANS). KP Energy are specialist consulting engineers based in Johannesburg, South Africa, and Denver, Colorado, USA. 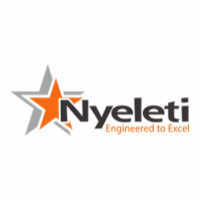 Nyeleti Engineering is a black-owned South African consulting engineering company specialising in most civil engineering infrastructure fields, specifically structural, water and transportation engineering. They also provide services with regard to forensic engineering investigations, occupational health and safety (OHS) and construction management. Carab Technologies (Pty) Ltd, part of the international Bureau Veritas Group is a plant engineering consulting company providing an extensive range of services to meet the specific requirements of both small and large enterprises. A combination of diverse expertise coupled with skilled project management procedures allows Carab Technologies (Pty) Ltd to provide a proactive solution to their client's needs. 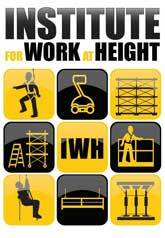 The Institute for Work at Height was formed in January 2009 being a merger of the Specialised Access Engineering Manufacturers Association (SAEMA) and the Rope Access And Fall Arrest Association (RAFAA) desirous of creating safety awareness and in turn "professionalism in the overall Work At Height Industry".